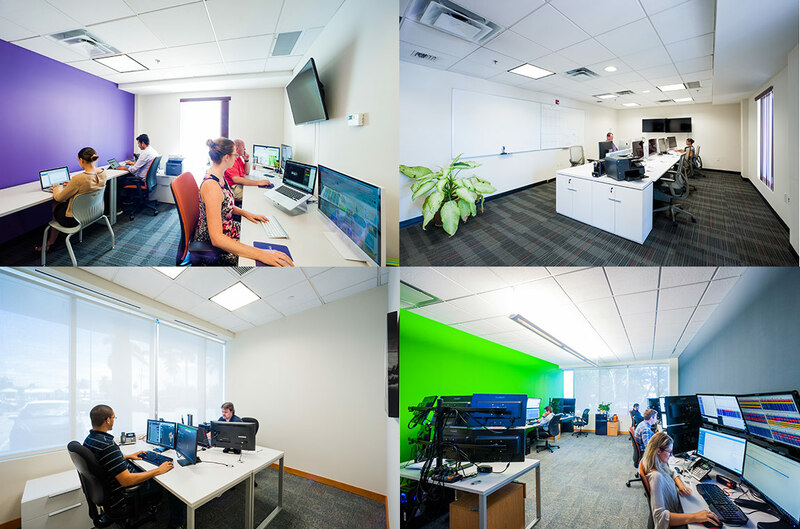 If your company is looking to place two or more people in Cayman, and you want the convenience of a private lockable office, or suite of executive offices, this is the ideal option for your firm. The Zone offers a selection of one, two, three, four or five person offices and larger executive suites, to suit every company’s requirements and budget. Packages are flexible and can be easily expanded to meet the needs of your growing company as you build up your enterprise. Our Client Experience team is on hand, every step of the way to make setting up your Cayman office is an easy and seamless process. Setting up in the zone is a fraction of the cost you will encounter when trying to set up a furnished and equipped office, and obtaining work permits and a business license outside the zone. Not only is it more cost-effective, we’ll also remove the time-consuming hassles that come with setting up an office from scratch, so your team can focus on business! We help with your telecom and data needs. Your zone company will also have the option to join the zone’s group health insurance and pension plans, saving significant sums for your company each year. We act as a free corporate relocation service by introducing you to our coterie of tried, tested and very reliable service providers to assist you and your staff with all aspects of your move and set up. CEC staff is here to assist with the initial set up, but we’ll also be here to support your company in your day to day operations and as you build your company. Request a free, no obligation consultation today to discuss how Cayman's Tech Zone can help your company.